Post Tagged with: "nokia n8"
The big buzz when Nokia introduced the 12 MP on Nokia N8 was not about the big numbers imprinted on the back, but it was the sensor size that made it so special. Because cramming a bigger mega pixel on a small sensor is like a sandwich of ostrich’s sunny side up egg between two loafs of bread – but not in the case of N8’s sensor. Why is Samsung leaving Symbian at the moment? We were not shocked when we heard the news about Samsung pointing out that they are not currently interested in getting Symbian platform in their mobile devices. As the company also noted that Bada and Android OS are their preferred platform as they see great potentials and benefits from these. 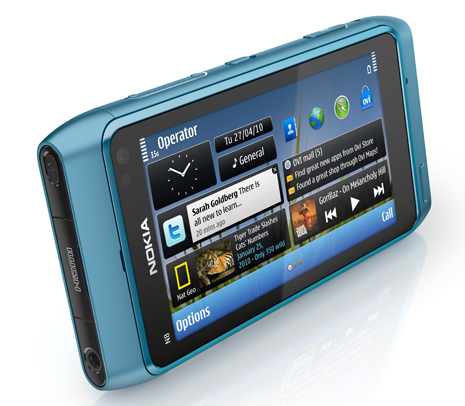 The proof is that they already didn’t made another Symbian phone after the Samsung Omnia HD i8910. First of all, let’s face the inconvenient truth that there is no perfect smartphone in this planet, but still we could consider that there is one smartest out there. Both Nokia N8 and iPhone 4 are candidates, so we will see if which part of my lists does Nokia N8 really standout against iPhone 4.